Jereme Rogers is slightly off his rocker. And we love him for it. 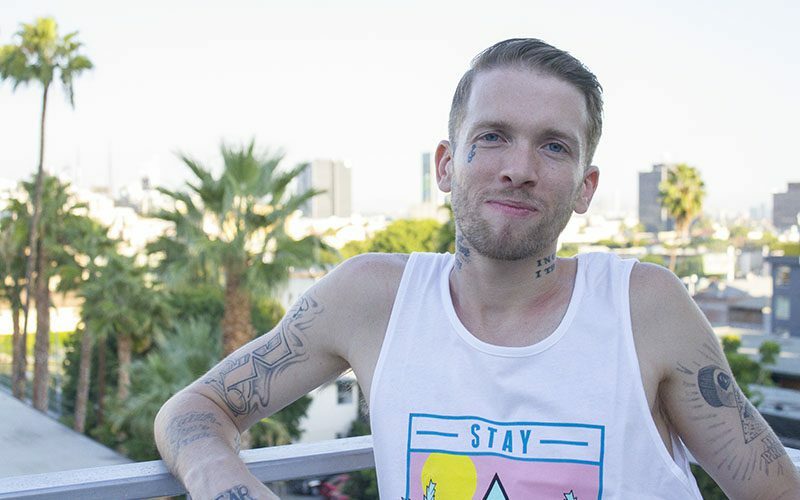 The former pro skater turned rapper is known for his party lifestyle. And he’s got the stories to back it up. His latest involves Nyjah Huston, getting kicked out of multiple parties, the police, and a stolen car. It’s something that would work perfectly for Vice’s “Party Legends” series. Hopefully we’ll see something along those lines in skateboarding one day. Until then, listen to Jereme’s story below. UPDATE 9.1.18: The latest plot twist in the Jereme Rogers and Nyjah Huston saga is the below paparazzi moment. Nyjah does not look amused. It’s hard to call where this feud will ultimately go. But there’s no arguing its entertainment value. It’s likely that this latest incident was just a publicity stunt for Jereme’s new NSFW music video that he alluded to during his No Jumper interview. It also released today, and comes with an offensive content warning on YouTube. Clearly, Jereme is not only a master showman, but also a bit more calculated than he’s given credit for. UPDATE 8.4.18: Apparently this beef runs deeper than we initially anticipated. Jereme Rogers took to Instagram again last night to issue a “Myathalon” challenge to Nyjah Huston. The proposed event will consist of a game of S.K.A.T.E., a battle of insults, and a boxing match! Have a look at Jereme’s latest post below. And keep scrolling down to see our original post from Tuesday in which Jereme tells the story of what started this interesting turn of events.